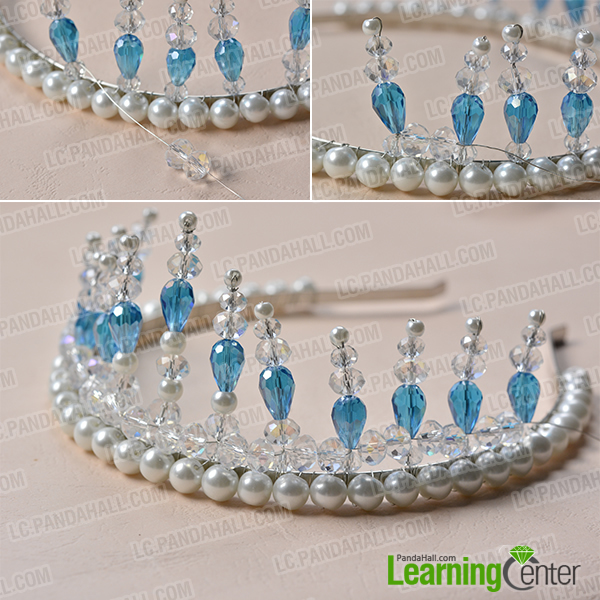 Summary: The white wedding crown is made of pearl and crystal for bridesmaid, this tutorial will show u the simple way to make the pearl crown. Hope u will like and enjoy the process. 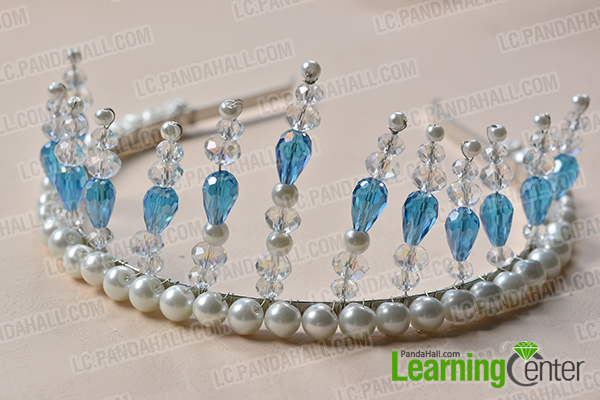 Maybe u always desire to make the wedding pearl crown for yourself or your best friends? Which is meaningful. 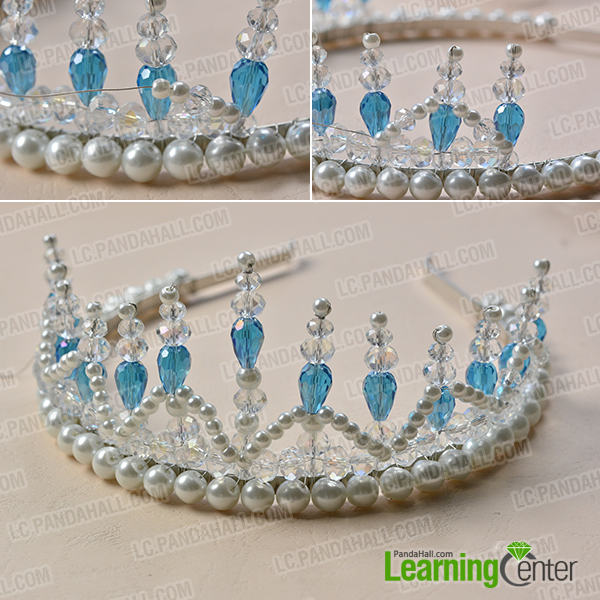 Today’s tutorial is about this, now let us see how to make the pearl crown step by step. 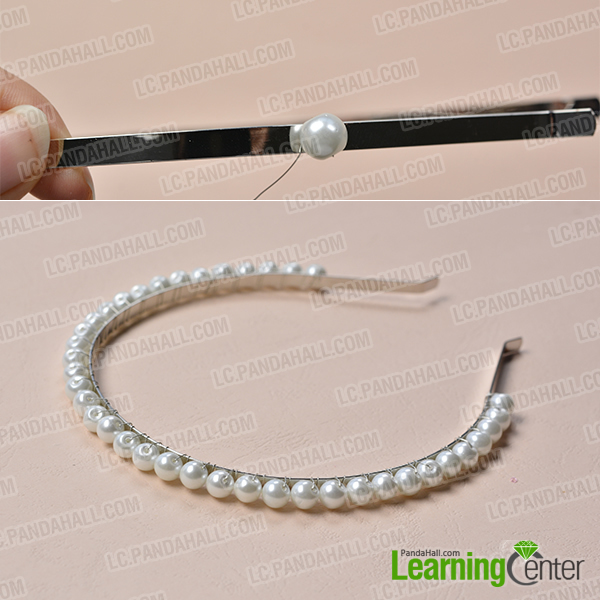 3rd, Repeat to add 8mm pearlized beads and fix the copper wire several times and end like the picture. 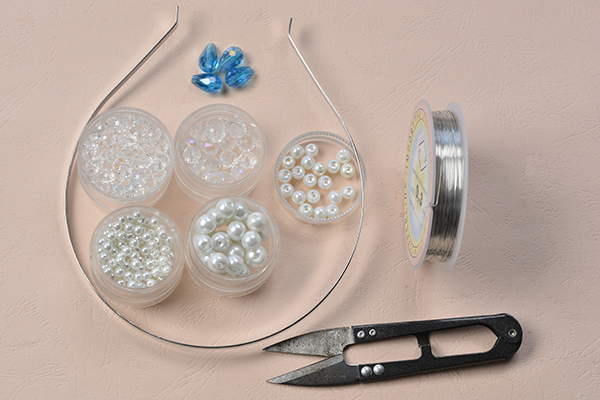 3rd, Bend the other 2 shorter pieces of wire by the 2 sides of the finished charms symmetrically , and slide the beads like the above step, one 8x6mm glass crystal bead and one 6mm white pearl bead less than the last arrangement (as the picture shown) . 3rd, Repeat to slide and fasten to the end. 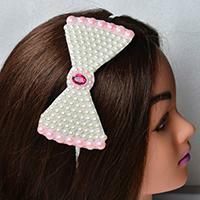 3rd, Repeat to add more 4mm pearl beads like this till the end. 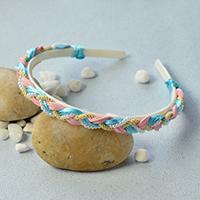 2nd, Repeat to slide ans fasten like this from high to low to each charms till the end. 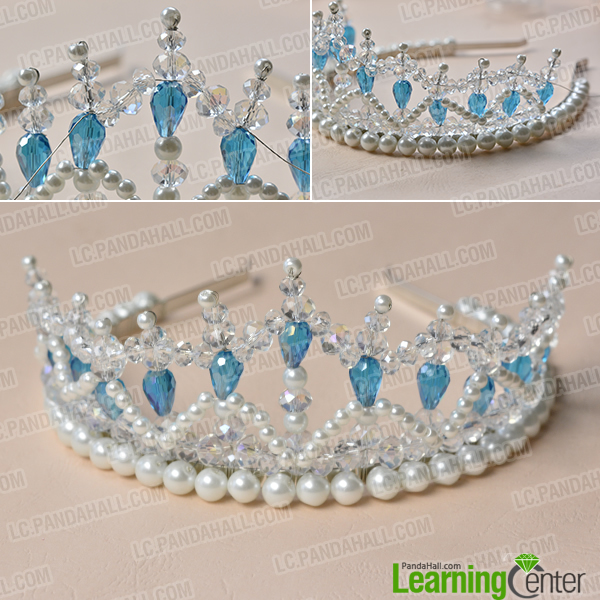 What a fantastic bridal crystal pearl crown! 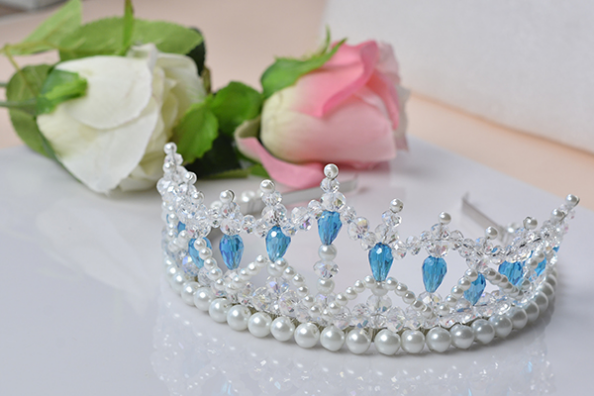 Compared with the expensive bridal crown in the shop, more love and meaning have been poured into that one, and i have been fallen in love with that. 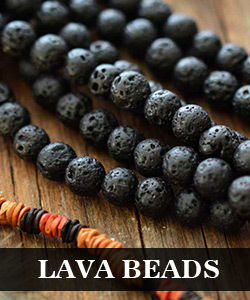 Have u been prepared for making this for yourself or best friends, let us do it!